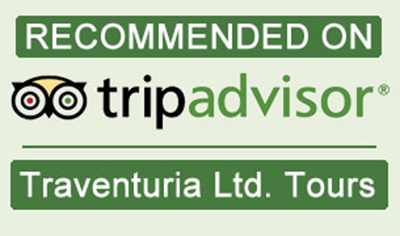 Martin Krastev - The Bulgarian Rose Oil - Rila Monastery Bus From Sofia. 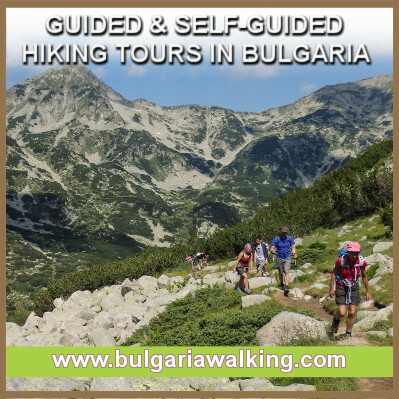 Tour To Boyana Church And Rila Monastery. I’m taking an improvised interview from Martin Krastev – a colleague of mine who has worked as a full-time professional guide for Traventuria for more than 3 years now. He is one of the people who I trust fully since he is very punctual and direct. It always surprises me how he can be so strict at his work schedule and at the same time has one of the finest senses of humour that he is not loosing even in difficult situations. 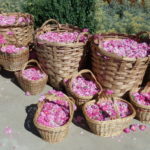 One of the undisputed symbols of our tourism is the rose oil and the roses it is produced from. What is the closest place from Sofia where these roses can be seen in bloom? My personal favourite place is the area around the town of Strelcha. Indeed, near the town of Strelcha the people can see lots of rose fields. And what is a more important one of the oldest distilleries is there. The locals build the distilleries close to the fields, because of the fact that they need to transport as fast as possible the blossoms, which are turned into a liquid gold (as we call the rose oil). What makes them so unique for Bulgaria? The Bulgarian Rosa Damascena has over 280 components thanks to the special climate and soil it is grown in, which makes its aroma, longevity and intricacy extremely precious and desired by the most famous perfume brands in the world. 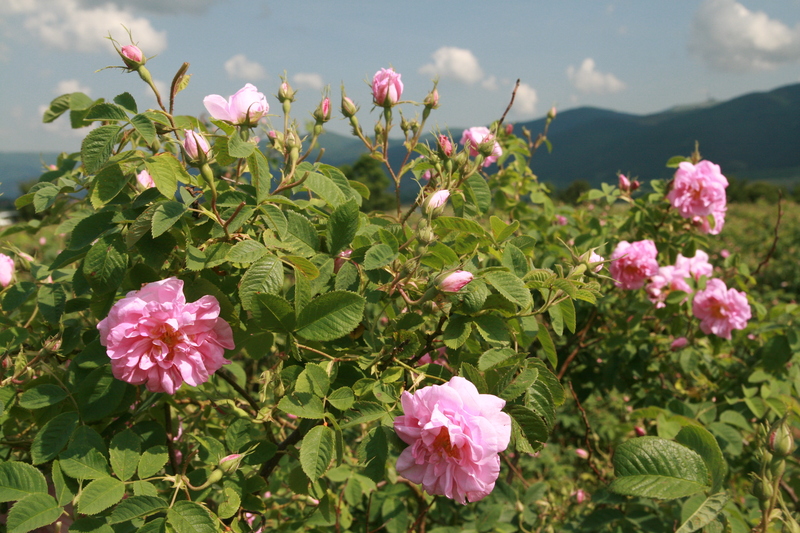 The Rose Valley is surrounded by mountains which protect it from unfavourable winds, there is a river or a spring flowing through each little village, providing enough water not only for the growth of Rosa Damascena but for a variety of other flowers used in perfumery as well. What are the uses of the rose oil? The rose oil could be and it is used pretty much everywhere. The very first thing that everyone thinks about at the beginning is of course – cosmetics. There are tons of perfumes, cosmetic water, lotions, candles, soaps, creams… face creams, hand creams, foot creams and any other part of the human body creams, that you can imagine. But aside of that, using rose oil in a hot or cold compress can help treat pain associated with swelling, sprains and cramps. Rose oil has been used for centuries to treat asthma, coughs, congestion and fever. Also, everybody is quite pleasantly surprised when they get to know that we make pastry, sweet jams and liqueur with rose flavour. And if you allow me a recommendation – try the rose liqueur. I won’t say anything about it, because I don’t want to ruin the surprise. Is there a shop in Sofia that you are recommending to the tourists to buy rose products from? There are many different locations of good stores. But if I have to choose – go to the underpass near the presidency and just follow the scent of roses. In no more than a minute walk you will see a cute small store with so many rose products – so you will know for sure, that you are in the right place. Which is the most preferred souvenir by your tourists? Unfortunately, there is no straight answer to that question. The different people are usually looking for different things. More often the first product they are asking for is the pure essential oil because they already know that even just a few drops of it could change the scent of the cosmetics or the taste of the food. Which is your favourite rose distillery and why? I actually have two favourite distilleries. The first one is the one near Strelcha, which is a vintage distillery. And the second one is near Skobelevo village. The second place has not only a distillery, but a part of it is turned into an ethnographic museum as well. At the end of the walk, you can see lots of ducks and black swans in a small water pool, right next to the walking paths. Visiting the two places, the tourists are seeing the development in the process of extracting the rose oil, which I think is an advantage. 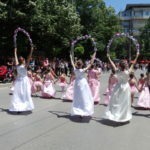 Do you recommend going to the Rose Festival in Kazanluk? If you want to understand what the roses mean to the Bulgarians, you should see the festival. It is the biggest parade in Bulgaria with over 3000 participants joining the march. Folklore dance and music groups from Bulgaria and abroad, local arts, dance and music formations as well as students from the municipality march through the center showing their creative abilities.